Straight Auto Care - Caloundra Mechanic for professional and affordable auto, truck and bike services. Callen is a hybrid vehicle technician & specialist at hybrid battery repairs. 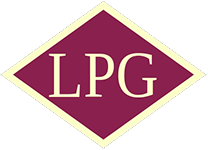 Ask us today about an LPG Conversion that will save you $'s. Our fully qualified log book servicing ensures your car, four wheel drive or motorcycle warranty will remain valid. Book now before the holiday rush. Our trained technicians have up to date skills and extensive experience in all local and international vehicles.